Packaging activities are considered compulsory aspects for three main reasons such as to maintain product safety, brand identification and obeying the trading rules. Technological influence in packaging sector has introduced enormous changes in the wrapping process as a result the inconveniences and drawbacks that were faced in traditional packaging methods were resolved to a great extent. Today it is very easy to find machinery for exclusive core boxing up works starting from wrapping to labeling and transporting, etc. Among the different aspects of packaging, labeling is regarded as a priority secondary packaging task which highlights the product brand, specification, and other details. With the inception of labeling machineries the task of labeling has been transformed into much easier ones. Labelling or classification of products through packaging is carried over with specific machineries designed for exclusive purpose. Manufacturers focus on the types of products, productivity level and the investment prospects and design labeling equipments accordingly. 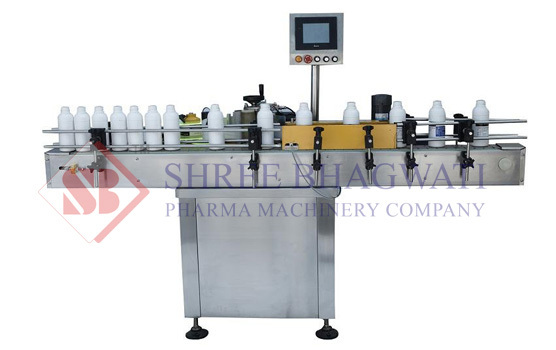 Shree Bhagawati Labelling Technologies is one of the pioneers in manufacturing labeling machineries of wide varieties. With the assistance of highly qualified and experienced machine designers and exclusive R & D department we manufacture and supply high performing labeling equipments to more than 40 countries. 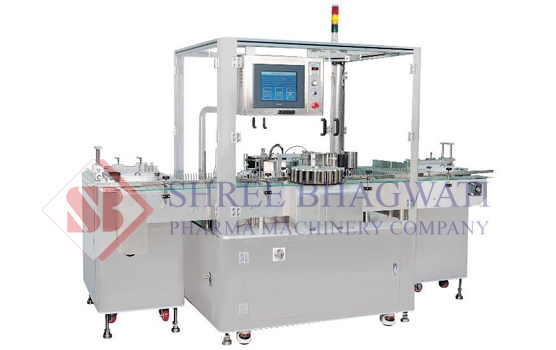 Labelling machines supplied by Shree Bhagawati Labelling Technologies are excellent in performance and will remain time saving and profitable investment for packaging prospects. Bottle Sticker Labelling Machine– This equipment stays suitable to stick labels on plastic and glass bottles and different types of small to medium sized spherical containers. Vial Sticker Labelling Machine- Pharmaceutical industry benefits greatly with this equipment as labeling delicate vial containers are considered a big challenge in packaging. Ampoule Sticker labeling machine-Ampoule sticker labeling equipment can handle different sizes of spherical products. It is considered one of the user friendly machines. It is one of the very rare machine designs that is embedded with single point synchronized speed control system. Automatic labeling devices supplied by us are equipped with micro processor controlled label dispensing system and a sensor to identity the label with respect to the product size and shape. The capacity of labeling work is relatively higher in equipments designed and manufactured by us. Above all, labeling machines are manufactured using advanced technology hence; investors can enjoy the benefit over maintenance and productivity aspects.